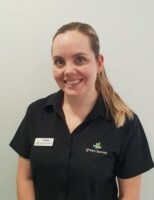 Green Leaves Early Learning takes education and care in the region to the next level. Each of our 6 learning hubs are purposefully designed and resourced with children in mind, serving as a platform to help provide the best in education and care for the Mawson Lakes Community. 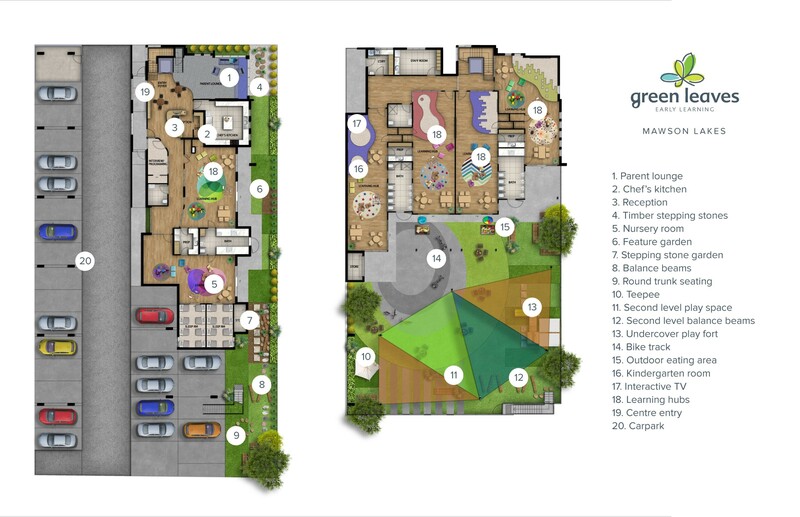 This facility is state of the art boasting a Chefs kitchen and parent community lounge, which are adjacent to two beautiful Bubs learning hubs that open out onto sensory gardens. 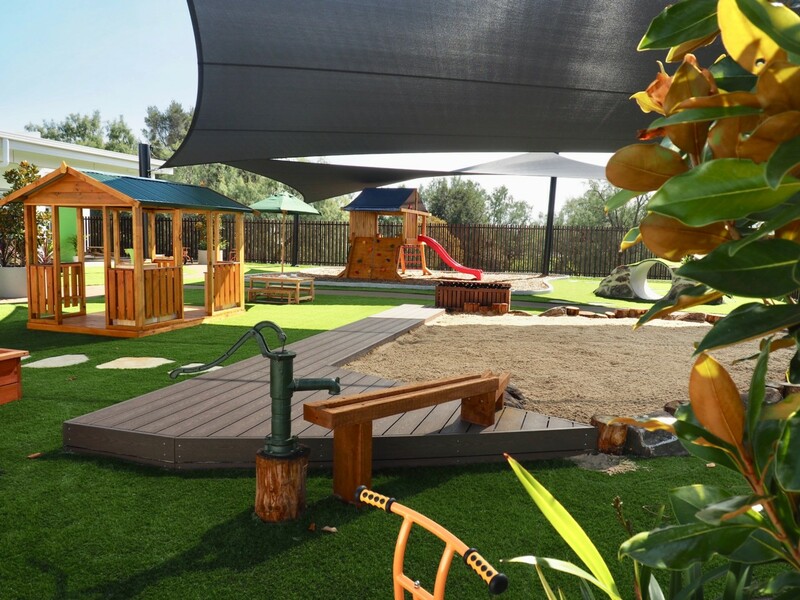 The four remaining learning hubs, including a kindergarten room, are on the first level and feature their own outdoor play space filled with modern sustainable resources such as the very popular bike track, large timber play fort, worm farm and edible flower and vegetable gardens. The parent community lounge, an innovative space, has been introduced to help create a strong sense of community giving educators, specialists and families the opportunity to come together in a beautiful environment and network while enjoying a barista coffee and a freshly baked treat. We invite you to learn and see more of this amazing centre by popping in to meet our team and join us for a tour.